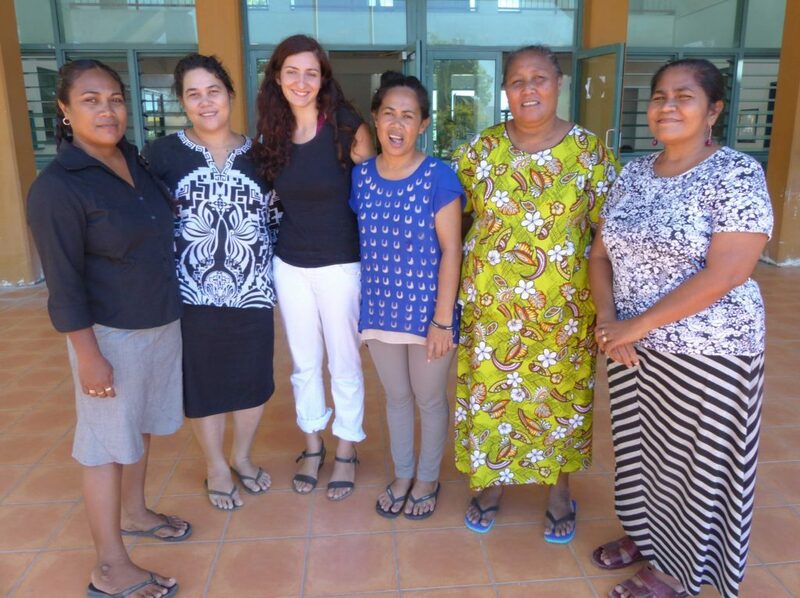 Staff of Tuvalu’s Gender Affairs Department with Gender and Social Inclusion Adviser Ms Natalie Makhoul (third from left). Photo: Ministry of Home Affairs. As part of its commitment to advancing gender equality, Pacific Women has supported the engagement of gender advisers to Tonga, Fiji, Samoa, and Tuvalu to support the implementation of country plans. Ms Natalie Makhoul is the newest Gender and Social Inclusion Adviser contracted by Pacific Women. She is based at the Gender Affairs Department in Tuvalu from March 2016 onward, and will support the Department in implementing the Pacific Women Tuvalu Country Plan. She will also work with other Government ministries and departments such as the Ministry of Education; and nongovernmental organisations (NGOs) in improving their achievement of gender equality and social inclusion outcomes in their respective areas of work. In the coming months support will also be provided in undertaking a gender-focused disability survey, to enable Fusi Alofa, an NGO for persons with disability and the Ministry of Home Affairs to improve policy planning and development for women with disabilities and women as caretakers of people with disabilities in Tuvalu. Ms Makhoul has a Masters in Law and previously worked at the German Technical Agency (GIZ) in Fiji providing technical assistance for gender and social inclusion in project management cycles. The Tuvalu Country Plan aims to empower women and girls to actively make use of their rights and to participate in the political social and economic arena, to believe in themselves and their skills and to shape development. To know more about the work of the Gender Affairs Department, read their latest newsletter. Article prepared with support from Natalie Makhoul.